File Explorer, also known as Windows Explorer, is the program that allows viewing folders and files and is also responsible for displaying the desktop. Sometimes File Explorer can encounter problems where it gets stuck in a “Not Responding” state. We’ll go through several fixes that will help get it working as it should again. 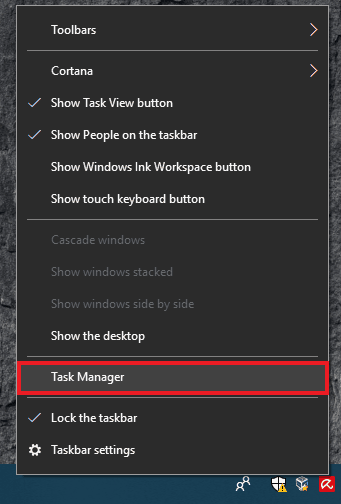 Right-click on the taskbar and then click on Task Manager. 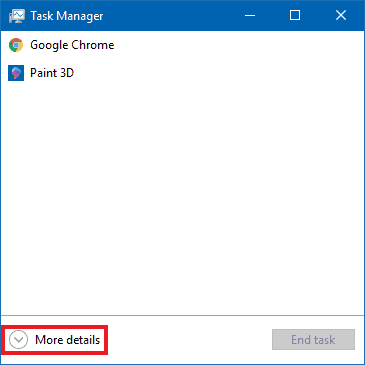 If you can’t access Task Manager this way, you can also get to it by pressing Ctrl+Alt+Delete to open the Windows Security screen and then clicking on Task Manager. 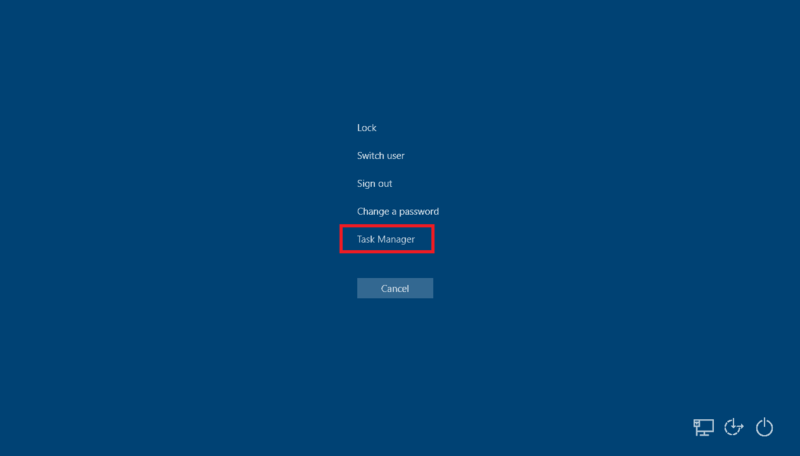 Once Task Manager has opened, scroll down and search for Windows Explorer, right-click on it and then click on Restart. You can also click on Windows Explorer to highlight it and then click the Restart button on the bottom right. 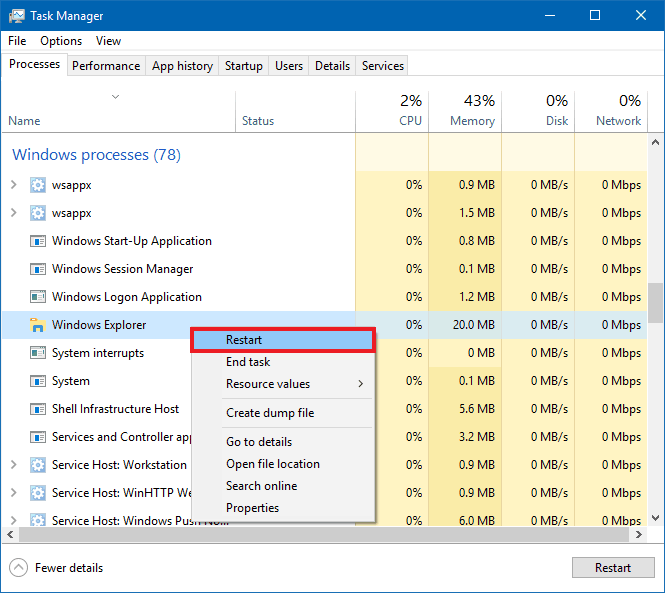 Click on More details in the bottom left corner to see all processes if your Task Manager does not show everything. 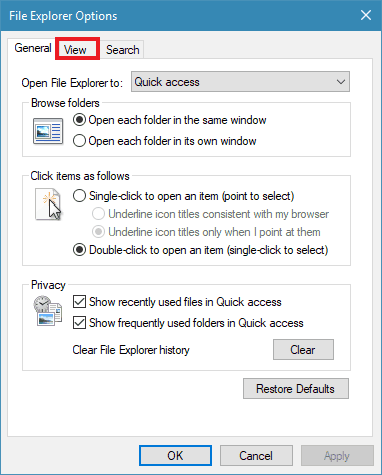 If restarting File Explorer didn’t work, read on for more solutions. 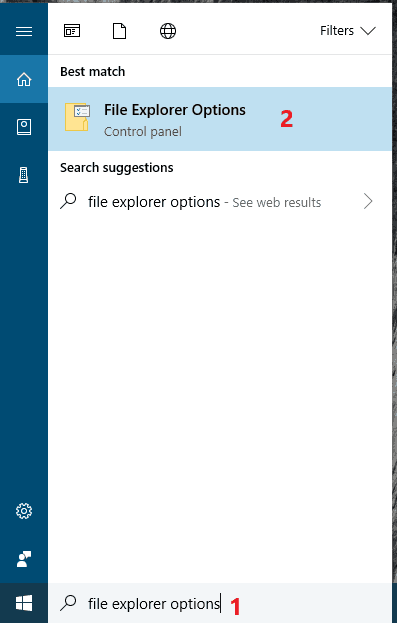 Open Windows Search(click on it or use the Win + S shortcut), begin typing “File Explorer Options” and click on the entry named as such when it comes up. 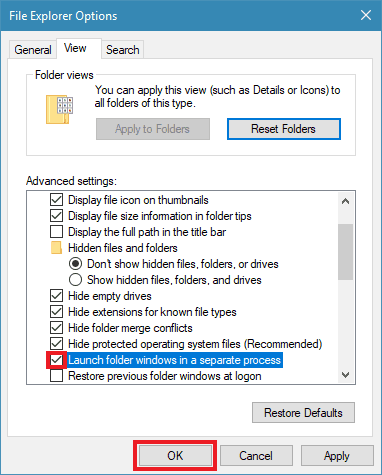 Scroll down and find the Launch folder windows in a separate process entry and make sure the checkbox next to it is checked, then click OK. In some cases this may resolve the issue immediately, but either way you should restart Windows afterwards. 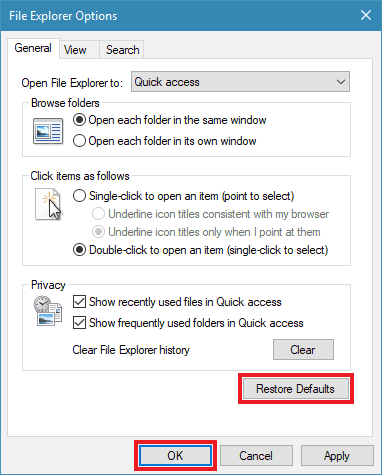 In the window that comes up click on the Restore Defaults button near the bottom, then click OK.
To make sure the changes are applied you should Restart your computer afterwards and see if File Explorer works after Windows starts up. If this doesn’t resolve the issue there’s one more settings related fix to try. 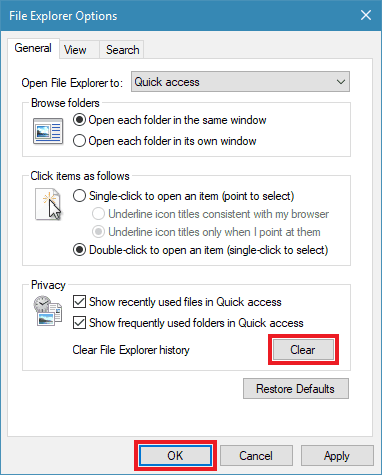 In the Privacy section of the window that comes up click on Clear next to Clear File Explorer History then click on OK. Restart your computer when done and see if File Explorer now opens correctly. Still no luck? Don’t worry, there’s more fixes you can try. 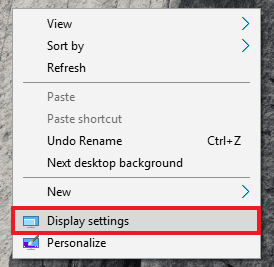 Go to the desktop and right-click on the background then click on Display settings. 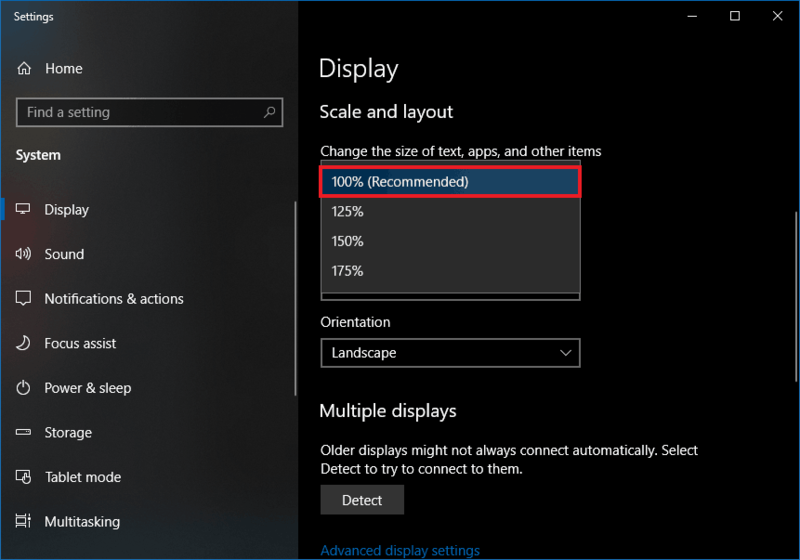 In the Display settings window click on the box under Scale and layout and change it to 100% if it is not already. If you already have it set to 100% then scaling is likely not causing the issue. As before, restarting your computer afterwards just to be sure the change has taken effect is worth doing. 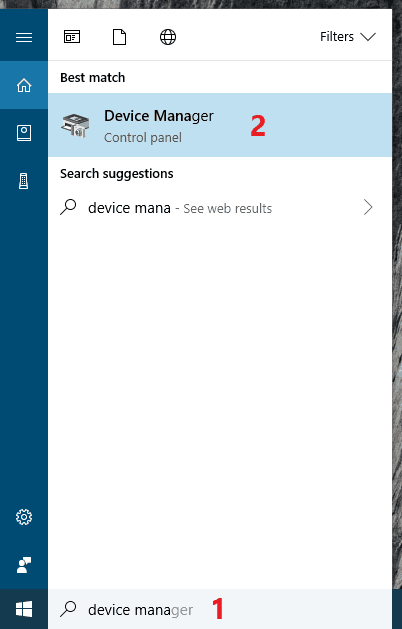 Open Windows Search(click on it or use the Win + S shortcut), start typing “Device Manager” and click on it when its entry shows up. Find and click on Display adapters. Below it your display adapter devices will show up. Normally you should only have one, but you may have multiple display adapters. If you have more than one, select the currently active one. 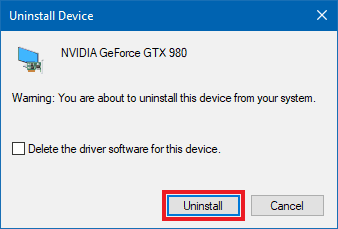 Right-click on your active display adapter and then click Uninstall device. 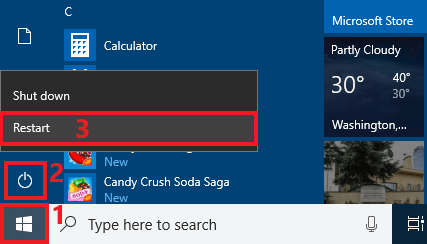 In the confirmation window that pops up click on Uninstall. You’ll now want to restart your computer to apply the changes and have Windows reinstall the display driver. Hopefully File Explorer is now working as it should. After doing this it’s a good idea to also update your display driver from the manufacturer’s website as the current Windows one may be outdated. This is optional, but recommended. Which website you download from will depend on your adapter. 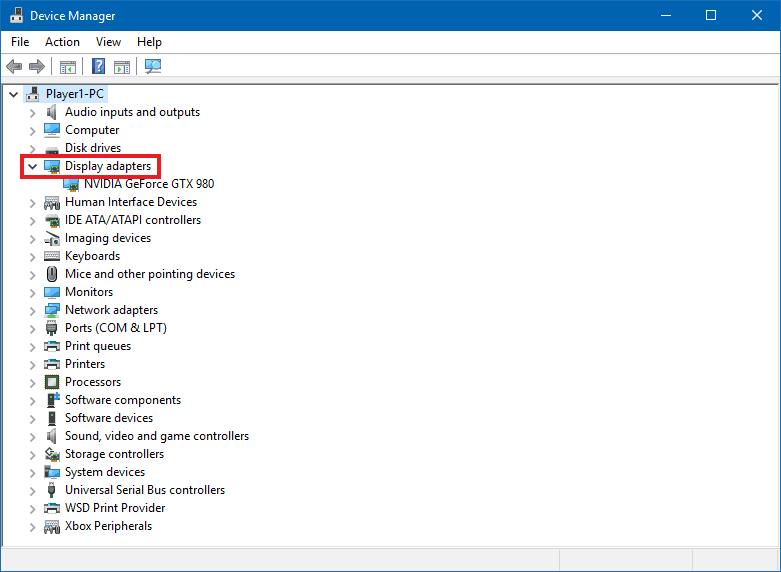 If you don’t remember what your display adapter is, you can check in Device Manager. 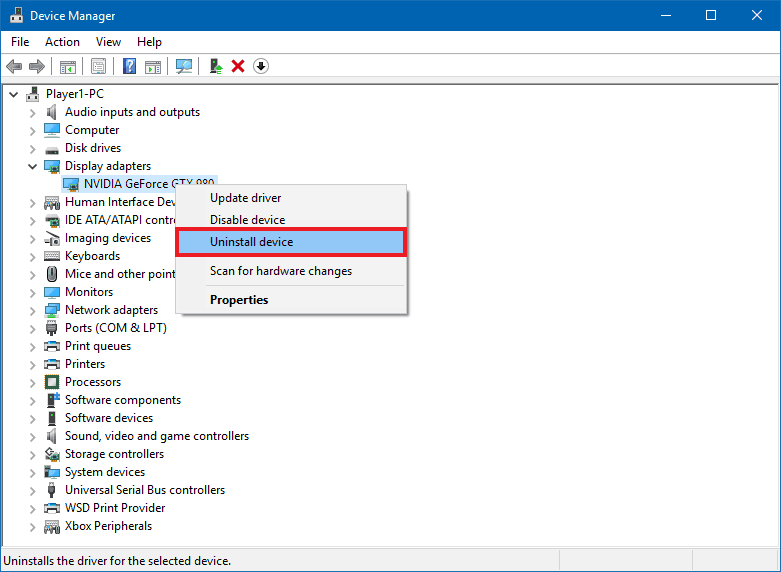 Those with an Intel adapter can use the Intel Driver & Support Assistant to automatically download the correct drivers. NVIDIA users can search for the correct drivers on NVIDIA’s download page. 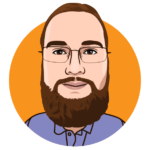 If you have an AMD device you can find the proper drivers on the AMD support page by either searching manually or downloading the auto-detect installer. Hopefully one of these fixes has gotten File Explorer working as it should and allowed you to access your files and folders again. If you have any questions or comments, feel free to leave them below.